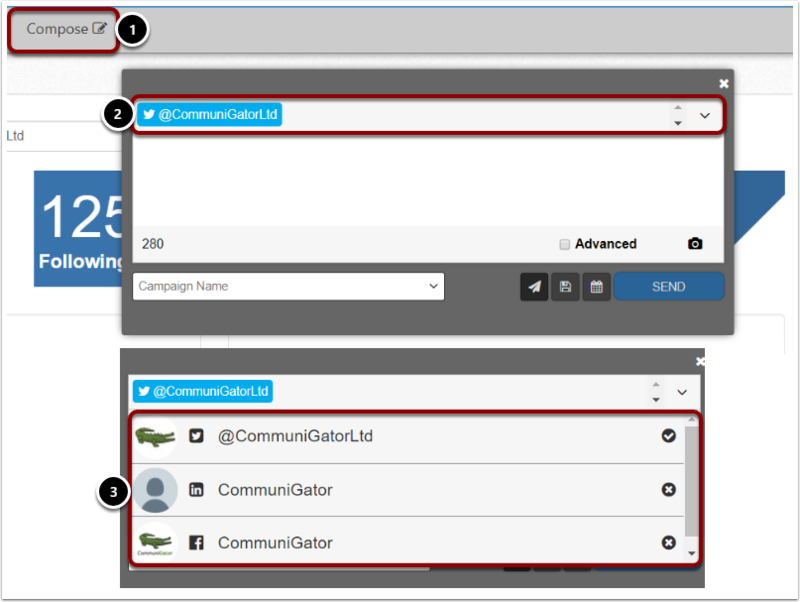 Learn how to post to LinkedIn Company Pages using the GatorSocial tool. When you become Admin of a page connected to your Company LinkedIn account, it will automatically appear in this list. You do not need to manually add the page or reset the connection, this is all automated for you. 1. Select 'Compose' from the grey toolbar to create a new social media post. This will bring up a new window as shown above. 2. Click the dropdown to show all the social media accounts you are an Admin of. 3. Here you can select multiple accounts that you are an admin of to post to. Please Note: You cannot post to your personal social media accounts using this tool. Next: Why are my Facebook posts not sending?